The word “museum” is subject to qualification when you’re traveling with young kids. Is it a place with hands-on, interactive exhibits, or static displays? Is there a restaurant on premise, and does it serve chicken nuggets? And if they do serve nuggets, are they shaped like dinosaurs?? Sometimes, a museum doesn’t quite meet my kid-friendly criteria. And yet, there is still that moment which justifies the visit. While in the Berkshires region of Massachusetts, we decided to check out the world’s largest public collection of Norman Rockwell’s works, at the Norman Rockwell Museum in Stockbridge. I wasn’t too sure that this museum would interest the kids, but then I found out about two temporary exhibits which changed my mind. 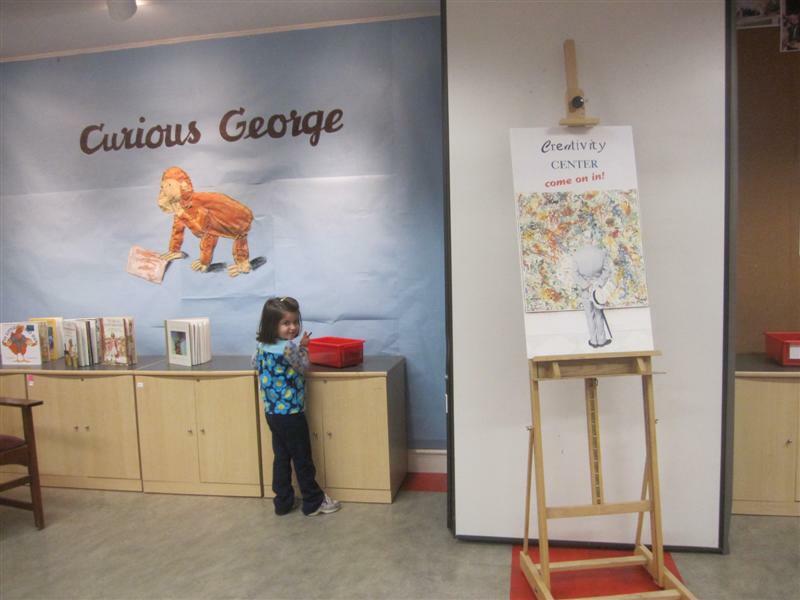 “Curious George Saves The Day: The Art of Margret and H. A. Rey” and “Pop-Up! The Magical World of Movable Books,” are both on view through February 5th. The Girl adores Curious George, and I figured The Boy would enjoy the artistry of the pop-up books. As you enter the gallery containing the Curious George exhibition, there’s a fun walk-through installation which looks like a hotel, drawn in the Rey illustrative style. This proved to be one of the few interactive features of the exhibit. There was also a reading room stocked with books and a touch-screen display. The main part of the exhibition, though, is the collection of nearly 80 original drawings from the Rey’s children’s books. I loved seeing the original sketches of not only our favorite simian scamp, but several other characters created by the Rey’s, like Spotty the bunny and Raffy the giraffe. To get the most from your visit, I would suggest printing out the gallery guide on the museum’s website. 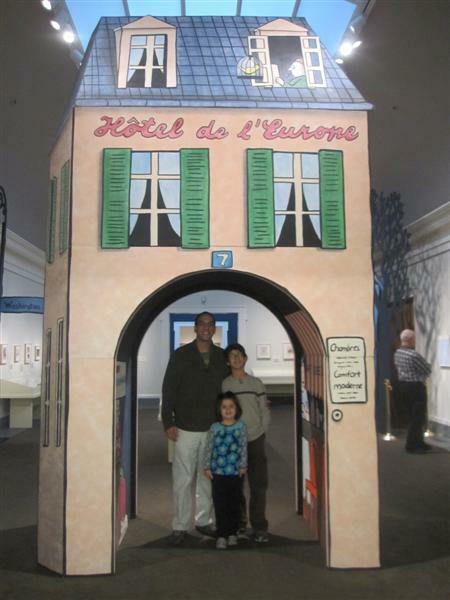 It provides questions and observations you can share with your kids as you walk through this exhibit. The pop-up and moveable book collection displayed books of several genres, from a 1933 version of Pinocchio to a 2007 Star Wars guide. Both kids enjoyed this room, but it was all we could do to keep The Girl from reaching for the delicate books on open display just inches away. She grew restless after an hour, and was not interested in moving on to the galleries of Rockwell art. Luckily, there is a “Creativity Center” on the lower level with art supplies and complimentary activity sheets. She colored Curious George and posted her creations on the community gallery wall. At a turning point during our visit, it became clear to me that coming to this museum wasn’t really for The Girl’s benefit at all. It was really meant for The Boy. He’s 11-years old, and an alum of his elementary school’s art club. In recent years, he’s shown an appreciation of art, but mainly in the technical aspects of the work. On this day, he was able to see beyond the brush strokes. I brought him over to see a display case. 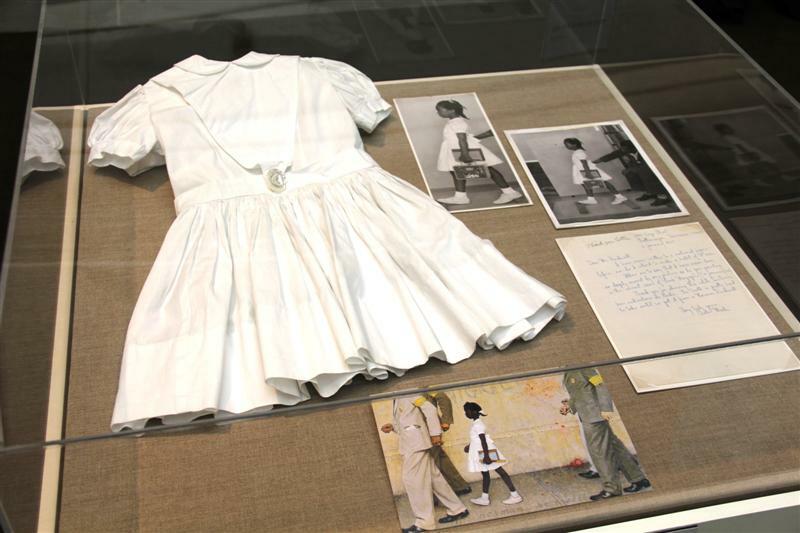 In it was a white school girl’s dress worn by Lynda Gunn, who modeled it for Rockwell as he painted The Problem We All Live With. A reproduction of the painting lay in the forefront of the case. Courtesy Norman Rockwell Museum. All rights reserved. The Problem We All Live With is the iconic 1964 painting depicting young Ruby Bridges on her way to an all-white public school at the beginning of racial desegregation in New Orleans. While the work is part of the Museum’s permanent collection, it is part of a traveling exhibition and is currently on view at the Dayton Art Institute in Dayton, OH. He took in the objects in the display slowly and thoughtfully. We discussed not only what was happening in the painting, but also about what was taking place in that moment of America’s history. There it was. The disquiet, awareness, and resonance. This was the reason for our visit. In 1973, Rockwell bequeathed his personal collection in trust to the Museum so that the works could be exhibited and preserved. This 367-work collection includes large-scale oil paintings as Stockbridge Main Street at Christmas, Triple Self-Portrait, The Four Freedoms, Girl at Mirror, and The Marriage License. Since 1974, the Museum has acquired original Rockwell artwork through gifts, bequests, and purchases. This collection includes such well-known paintings as The Problem We All Live With, Christmas Homecoming, The Art Critic, and Girl Reading the Post. The Museum’s holdings include original artwork, and the artist’s studio and its related collection, including personal memorabilia, supplies, and reference materials. 3 and 7. I’m scoring in two different categories, depending on the age of the kids in our party. The score is 3 for kids seven and under. There’s more here for older children, so for them, I score it at 7. 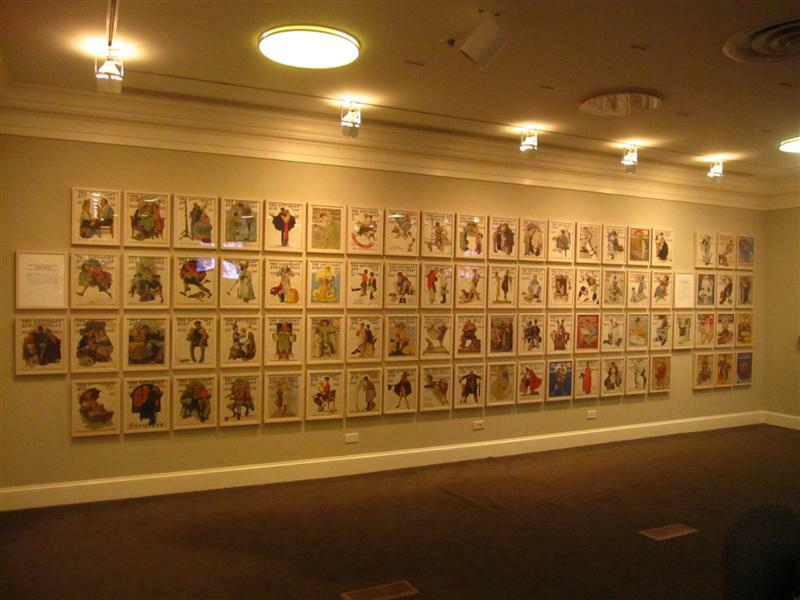 This is just one of three walls in a gallery featuring all 323 covers Rockwell illustrated for the Saturday Evening Post, from 1916 to 1963. It was a history lesson in American culture; I was fascinated. This museum has been on my “to do” list for awhile …. glad that I won’t be disappointed. I hope that the curator(s) get to read this post. Your son’s “ahhh-ha” moment would make them happy. We fight the same “age range” battle as you do quite frequently. It’s such a hard line to walk, as on miserable child can quite often bring the whole day to a grinding halt. I’m glad you managed to work it through and got to see the rest of the museum. The Saturday Evening Post covers could entertain me for a few hours on their own. It’s definitely hard to find activities that appeal to kids when there is a big age gap (mine are almost 7 years apart). Glad it worked out so that you and your son could experience this exhibit – it’s one that I would love to see! Our kids are also nearly seven yeas apart, and opposite genders! It’s almost always a matter of splitting up, with the boys going in one direction, and the girls in another! 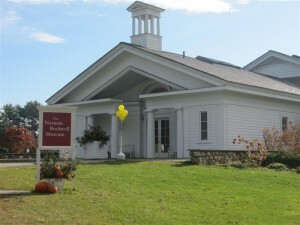 I thoroughly enjoyed reading your excellent blog coverage of your visit to Norman Rockwell Museum. I’m so glad you had a chance to visit and found the activities engaging for both of your children. It is certainly difficult to engage both ages at the same time, but it sounds as though you shared your time with each to satisfy their levels of interest. It touched me deeply to read your son’s insight into the Civil Rights Movement and to hear through his eyes how we have progressed as a nation over the years in raising our children without prejudice. I have worked with Norman Rockwell’s collection for more than 30 years now, and one of its special qualities is that it is always fresh and new at every age. I hope you will have a chance to return and spend some time with the Rockwell collection. Thanks for the terrific blog. 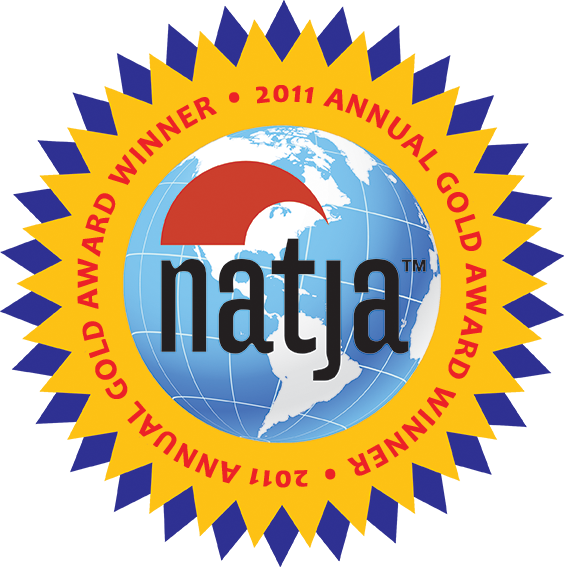 Don’t miss walking the grounds and climbing the outdoor sculptures. Yes, the grounds are lovely! It was cold the day we went, but we made it to the artist’s cottage; what a view!